Millennials are the busiest people you will ever meet. Yes, we can sometimes get a bad rep for always being on our phones and not having the longest attention spans. However, I think that just shows that we are good at multitasking and that skill makes us much more efficient than past generations. Look at this from our perspective. We have the ability to reach out and stay connected to all of our friends no matter where they are and what they may be doing. We have an unlimited amount of information, on any topic in the world, at our fingertips. And we can share that information with anyone, at any time. Can you blame us for being a little distracted? But one thing is for sure. All of that stuff keeps us busy. We are constantly moving from one thing to the next: Starting our own businesses, planning get-togethers or learning a new skill. All great things, but they sometimes get in the way of one thing that is of up-most importance: Our health and wellbeing. Although millennials are very connected and seems to have a lot of knowledge about healthy living and nutrition, we still seem to suffer from the same obesity rates as past generations. You would think that with all of the knowledge that we have, we could avoid the same fate as our parents and grandparents. However, it seems that though we know plenty, it is difficult for us to apply this knowledge when we are so busy with other things in our life. Well we’re in luck! We can all use these tips to stay healthy, no matter how busy life gets. So many people, including myself, have jobs where the sit at a desk behind a computer all day. In my opinion, sitting down for eight hours of the day is one of the unhealthiest things that you can for your body. Studies have shown that people who sit for more than six hours a day are more prone to many diseases. They are more likely to have a heart attack, be diagnosed with Type 2 Diabetes, develop high blood pressure and high cholesterol. Of course, sitting for an extended period of time will also lead to weight gain. sit for work. That is unfortunate, but there are things you can do to help this. The first is simple: stand up whenever possible. Most of job requires me to be typing all day, so not much opportunity for this. But if I’m on call, it’s a great opportunity for me to stand at my desk and stretch my legs. The next solution is to take walk breaks. Every two hours or so, get up and take a walk around the building. It’s not the most strenuous exercise, but it gets the blood flowing. For an extra challenge, take the stairs! Another thing that is great for you health is getting a stand up desk. If this is an option for you, take it! You will definitely be doing yourself a favor. One thing I try to do to stay is active is to not go straight home from work. What I’e noticed is that once I’m home, it’s extremely difficult for me to leave again. So may entire day is pretty much done. What I try to do to avoid that is to get all of my errands and activities done before then. I know it seems like after a long day at work you want to just go home to relax. Trust me, it’s hard at first, but there’s nothing better than leaving work to do kayaking instead. Or on a long bike ride. When I fit these activities into my day, I not only feel healthier, I also feel like I get much more out of my day. This is one of the most important changes I have made in my journey to a healthier lifestyle. With all the benefits that water can give you, this should be a given. Water is the essence of life. Your Brain is made up of 90% water while your body is made up of 70% water. If you drink enough, it will improve your health overall. You will notice this in a few ways. Your hair will have a new shine, you’ll have clear skin and increased energy. Not only that, it also helps digestion, boosts your immune system, prevents headaches, cramps and sprains. Lastly, water can be an all around mood enhancer and money saver. With that many benefits, why wouldn’t you drink it? It may not taste as great as that cola you have with every meal, but it does a world of good. Let’s not get into how much damage that daily soda does. The best way to make drinking water a habit is to make sure that you always have water with you. Find the perfect water bottle for you and bring it with you everywhere. I have one that is designated for work that fill multiple times a day.I also have one that I fill every morning and leave in my car for my after work activities. The key is to always have access to a drink. Be sure that you have enough throughout the day to keep yourself completely hydrated. If you do so it will help to flush out the toxins from your system from years of abuse. So how much water is enough? The most commonly accepted minimum is eight 8-ounce glasses, which equals about 2 liters, or half a gallon. This 8×8 rule is pretty easy to remember so you have no excuse to not follow it. Others would say that you should cut your body weight in half and drink that much in ounces each day. I would say find the number that a id the greatest and make that your absolute minimum. Drink as much as you possibly can. Sip it at all times, all day. Your body will certainly thank you. The best thing you can do to maintain a healthy lifestyle is to know what you are going to eat before you are hungry. Hunger impairs your judgement. When you are hungry with a million things to do on your plate, its easy to neglect what’s on your actual plate. This is where fast food chains make all their money. Its so easy to say, well its just this once, and I have no time to prepare a meal. How many times can you do that before it starts to become the normal? Never eat fast food again. Not only is it a drain on your finances, its hard to know exactly what it is that you’re actually eating. If you don’t really know what it is, you should not put it in your body. This is the hardest thing for me because I absolutely loathe cooking. And the cleanup. So trust me I feel your pain. But the best way to accomplish this is to prepare all your meals for the week in one night. Sunday night is the most popular as it gives you the opportunity to get through the entire week without having to cook a single meal. You can separate the meals you prepare in containers, one for each day of the week. This doesn’t work out each time for me. It can be anything, like I forget a meal at home one day, or I just don’t feel like eating what I had prepared. In this case, I have one of Healthy Choice’s delicious meals. Healthy Choice is the only major brand in the frozen meals section that can call 100% of its products “healthy” as approved by the FDA. With 100 percent natural proteins and absolutely no artificial ingredients, Healthy Choice Simply Café Steamers uses are steamed to transform simple ingredients into vibrant, crisp vegetables and juicy proteins for a delicious, fresh taste. This is a healthy and a easy way to keep on track with your health goals. It has the benefits of a home cooked meal with the convenience of fast foods. Not to mention very cost effective. Just in case you get a craving between those scheduled meals, having a healthy snack is a wonderful way to stay on track with your goals. I love to pack fruit to carry around with me in my bag. That can range from bananas, oranges, grapes, etc. Some other options you can snack on include granola bars, pretzels, protein bars and more. You can get creative with what you would like to break up the day. The added benefit of having snacks through out the day is that it doesn’t give you the chance to be overly hungry. When you go too long between meals and are starving once you eat, it presents the opportunity to eat way more than you normally would have. On top of this, you will probably eat too quickly which could give you indigestion and will certainly case you to feel uncomfortably full. Thats never fun to have to walk off. Better to snack in between meals and keep the voracious appetite at bay. Last but not least, you need to be sure that you are scheduling regular check ups with your doctor. Even when doing everything right, there are some things that can go wrong. Let all hope that this is never the case, but we can’t just hope. It is recommended that everyone see a doctor for an annual physical. Be sure to schedule this, but keep in mind that if something does not feel or seem right, you can schedule appointments in between as well. It always better to be safe than sorry. This does not only apply to your primary care physician. You should also go regularly to see your dentist, optometrist and, for some of us, gynecologist. The key to living healthy lifestyle is to not focus on one thing like weight loss, or going to the gym. You have to maintain your overall health, It all comes as a package deal. One aspect cannot be valued over another. When you commit to doing one of these tips, you have to commit to doing them all. So join me in starting a journey to a healthy and fulfilling life, you will feel the difference sooner than you think. 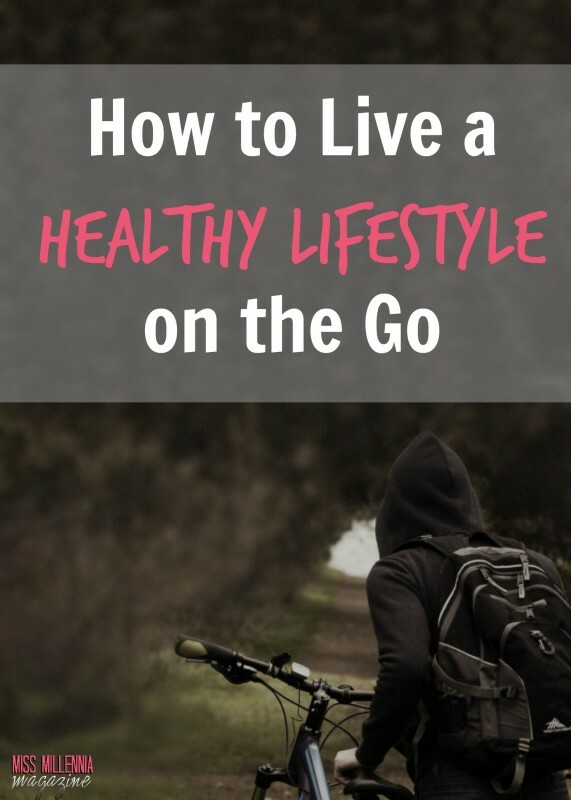 Interested in learning more about having a healthy lifestyle? Be sure to read Healthy Living: 30 Powerful Daily Habits to Transform Your Health, Lose Weight & Radiate Happiness.